Papertrey Ink is starting a new challenge called Laurie's Fabulous Favorites, on Win it Wednesday's You can participate here! Since I am soon to be a Grandma for the first time, my favorite stamp set has been Worth The Wait Stamp and die and also Even More: Worth The Wait stamp set and die. We do know that it is a boy and the colors of the babies room is gray and teal, but they are saving the babies name for a surprise. The colors that I used on this card are Aqua Mist, Hawaiian Shores, Tropical Teal and Weathervane. First of all, congratulations, Nancy on your baby news! How exciting! I love that you designed your card in the nursery colors! I've been eyeing that set, and seeing you use it makes me want it all the more. Your design is fantastic! Thanks Kara, I am so excited!! They had their baby yesterday, a baby boy!!! I love those tassels on that stamp set and the sentiment with using the die. Nancy, congratulations! I can only imagine how that must feel! 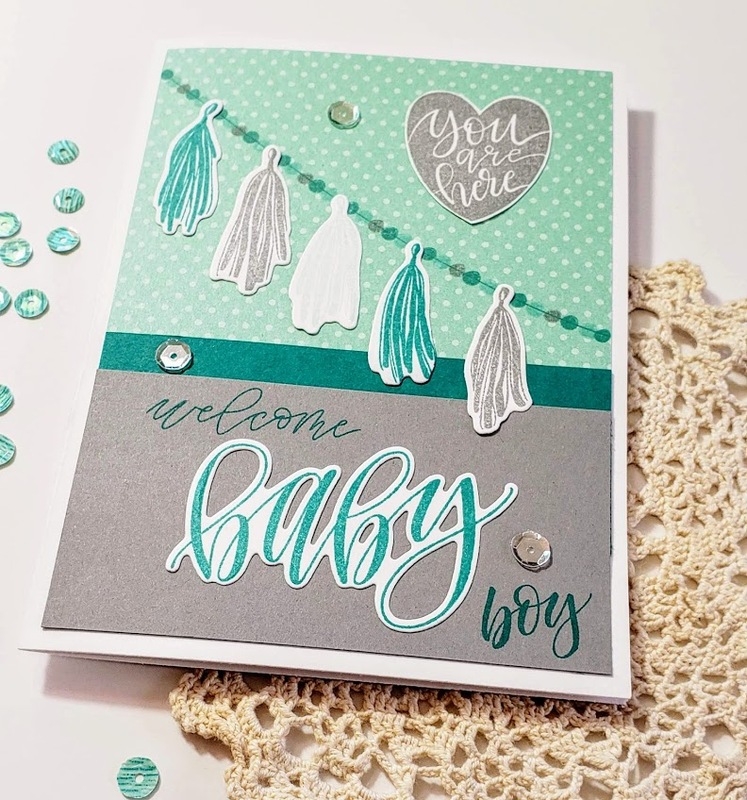 You created a beautiful card and no wonder... you had wonderful inspiration for it! Thanks Rox, I appreciate your comment. How exciting--congratulations! Love the colors they chose & they're wonderful for any card--need to use them! 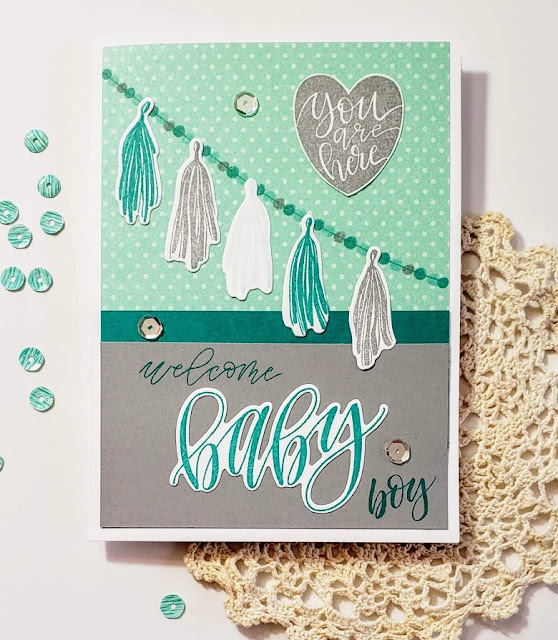 Adorable baby card--great design!